Love Does Not Fail For You When You Are Rejected or Betrayed or Apparently Not Loved. Love Fails For You When You Reject, Betray, and Do Not Love. One look at the world around us should be enough to convince us that to be a fully mature adult means to be able to love and to endure what Avatar Adi Da refers to as "The Wound of Love." Whether you are fortunate in your close relations or not (and many people are), much of what each of us witnesses every day, from simple bickering between lovers to every kind of violence, exemplifies the failures that result when people refuse to love one another, or when some one individual refuses to love. The refusal to love brings with it a dangerous sense of separation in a world in which there is immense suffering, in which we inevitably find ourselves separated from those we love, all of whom will inevitably die, as we will some day. "Therefore, If You Listen To Me, and (Also) If You Hear Me, and (Also) If You See Me—Do Not Stand Off From Relationship. Be Vulnerable. Be Wounded, When Necessary—and Endure That Wound (or Hurt). Do Not Punish the other In Love. Communicate To one another, Even Discipline one another—but Do Not Dissociate From one another or Fail To Grant one another The Knowledge Of Love. Realize That each one Wants To Love and To Be Loved By the other In Love. Therefore, Love. Do This Rather Than Make Any Effort To Get Rid Of The Feeling Of Being Rejected. To Feel Rejected Is To Feel The Hurt Of Not Being Loved. Allow That Hurt, but Do Not Let It Become The Feeling Of Lovelessness. Be Vulnerable, and (Thus) Not Insulted. If You Are Merely Hurt, You Will Still Know The Necessity (or The Heart's Requirement) Of Love, and You Will Still Know The Necessity (or The Heart's Requirement) To Love." Avatar Adi Da Tells us that there are two fundamental elements that conventional religions and the scientific materialism dominating most of our modern world have in common. They are the presumption of a totally independent, personal and entirely subjective point of view, and the idea of the existence of what we refer to as objective reality. Most of us accept both these notions, and both are common to the human mind. He asks us to consider the idea that this is the reason why science and religion are so constantly engaged in a war of words with each other. Each uses these notions to establish very different truths. As devotees of Adi Da Samraj, we have come to realize that many if not most of the common beliefs we grew up with reflected this division in world culture. We have seen that divided thinking can have disastrous, even horrendous consequences in the arena of world events. We know that the failure of Love always occurs when someone assumes that there is real or literal separation or division between him or herself and another, a situation that is exacerbated when these beliefs are taken too very seriously. That is certainly the case in intimate relationships, and definitely the case when the division or separation is between people in general or between governments, or religious ideologies. Assuming such a state causes untold suffering in the world—something that is becoming increasingly obvious with the passage of time. We have learned that most of the ideas about life, reality and God that we grew up with were based on presumptions of separation and independence, and the various ways we related to what we were taught to see as objective reality, by others who had the same bringing up. And if the often contradictory views that generated these ideas made sense to us as children, we have found that a far deeper and greater understanding of life, reality and spirit is possible, one that leads to the clear and certain knowledge that God, Consciousness, Reality, Truth and Love-Bliss are synonymous terms that better describe our real condition—a truly human fact that can be lived with effectiveness and can restore humor to our lives. Avatar Adi Da reminds us that "All this is one" and that everything and all of us are one. With this assumption as the starting point, Avatar Adi Da's Wisdom-Teaching, His Constant Blessing Presence and the challenging Relationship He Offers have combined with the Transmission of Reality that each of us has received from Him, changing our lives. We have found that together, these elements can bring the Gift of all gifts, Spiritual Realization, to anyone who practices Ruchira Avatara Bhakti, the unique, all-encompassing, direct devotional yoga of the Way of Adidam. This has nothing to do with whether one is rich or poor or has achieved some measure of success in the world. What is required is some discipline, and a tremendous amount of attention. And once the essence of this Gift is recognized, its fruits need never be lost, and can never be stolen. Ultimately, it leads the recipient to a greater destiny. It is that incomparable, indefinable something that each of us has always been looking for—what we have been trying to find for as long as we can remember. We hope you will visit our Recommended Books and CDs Page where besides buying a book, CD or video, you can order many of Adi Da's Discourses. In addition, we think you'll find Adidam's Download Page where you can download, read and print a great many of Avatar Adi Da's Essays and Talks of real value. Each is truly representative of something we have learned from Him. We truly hope that you spend time reading what we have made available here, that you contact us to attend our lectures and sign up for our classes, and that through this website Adi Da Samraj brings a true blessing into your life. 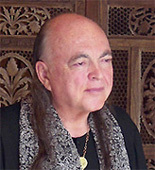 You can contact us to find out more about Adi Da Samraj, or visit the global Adidam website to read more about the Avataric Great Sage Adi Da Samraj. of Adidam. All rights reserved. Perpetual copyright claimed.